Rudolf Ehrenberger was born on 25 August 1915 at Erbesthal in the Bruck an der Leitha region of Austria. 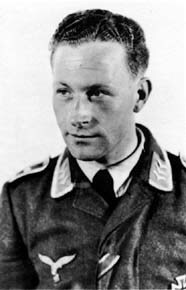 Ehrenberger joined II./JG 53 in 1940. Oberfeldwebel Ehrenberger was assigned to 6./JG 53. He gained his first victory over the Western front on 26 September. He claimed a further 12 victories against Russian aircraft over the Eastern front with 4./JG 53 during June and July 1941, before accompanying II./JG 53 on its relocation to the Western front. In late autumn 1941, Ehrenberger transferred to 6./JG 53. Operating from bases in Sicily, Ehrenberger was to see much action over the island of Malta. On 24 December, Ehrenberger, accompanied by Leutnant Hans Möller, attacked two British submarines off Malta and claimed them sunk, although neither, in fact, were lost. On 10 April 1942, Ehrenberger claimed three RAF Hurricane fighters shot down to raise his total to 24. Ehrenberger was to claim 16 victories over the island raising his score to 31. Over Tunisia, Sicily and southern Italy, Ehrenberger continued to increase his score in the face of the overwhelming Allied aerial surpremacy. On 20 March 1943, he shot down two enemy aircraft to record his 33rd and 34th victories. He recorded his 40th victory on 9 June. By September, his score stood at 43. Ehrenberger gained his last six victories flying Reichsverteidigung duties from bases in Germany, including three USAAF B-24 four-engined bombers shot down on 25 February 1944.  On 8 March 1944, Ehrenberger engaged USAAF bombers and fighters near Wittenberg. In the resulting aerial combat his Bf 109 G-6 (W.Nr. 440 111) received hits. He baled out but was then shot and killed while hanging in his parachute. Ehrenberger was posthumously awarded the Ritterkreuz on 5 April. Rudolf Ehrenberger was credited with 49 victories. However, listed below are 51 victories reputedly gained by Ehrenberger. It is possible that two were not confirmed. He recorded 12 victories over the Eastern front. Included in his victory total are four four-engined bombers.